Chances are if you’ve bought anything even vaguely garden related by mail, you receive at least some catalogs in the mail. I can remember a time when these catalogs began to arrive right around the new year. Now, like everything else, they begin to arrive around Halloween. That’s fine by me. I set them aside in a stack to look at in the darkest days of winter–in other words, right about now. I confess that I don’t keep all the catalogs I get–I’d be “snowed under” with paper. 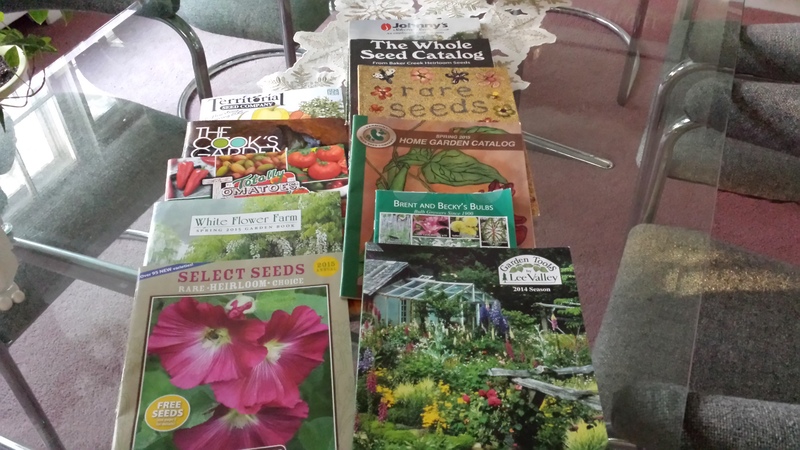 And I also confess, that probably like most gardeners, I page through, fold down pages and dream about the things in these catalogs but I cannot possibly order 1/10th of what is in them. For one thing, I am not indescribably wealthy, even in years when I have a lot of lectures. For a second, after twenty plus years of living on the same piece of land, I am running out of room to put all of the things I would like to grow. Yes, there are always containers, and yes, nature always give me “opportunities” in the way of dead plants but there are still fewer places to put plants now than there were when I moved here. And I have different priorities than I did 20 or more years ago too. While I still garden organically as I did back then, and I still garden for wildlife, as I did back then, there are other things to consider: I now consider things like native plants, which are more likely to adapt to the crazy weather patterns that we experience. I also consider plants that require less “input” from me the gardener as I age. While there’s no such thing as a “no maintenance” plant (that would be a silk plant), there are those that require less work. For example, while I love my hydrangeas, they are not native, they require an awful lot of water in dry summers and they have to be pruned, pretty severely, every spring. For someone with severe arthritis, that’s quite a chore some springs. So I don’t seek them out anymore. I will still enjoy those that I have, however–you won’t find me ripping them out just yet. But that’s what I scour the catalogs for–lovely natives that might be workhorses like my hydrangeas someday. I also look for interesting seeds. When it comes to that, my favorite catalog is Baker Creek and it has been for decades. Now that they’ve bought a seed house here in Connecticut (Comstock, Ferre & Company) I love them even more. But there are other great heirloom seed companies as well. Seed Savers Exchange is celebrating its 40th year this year. 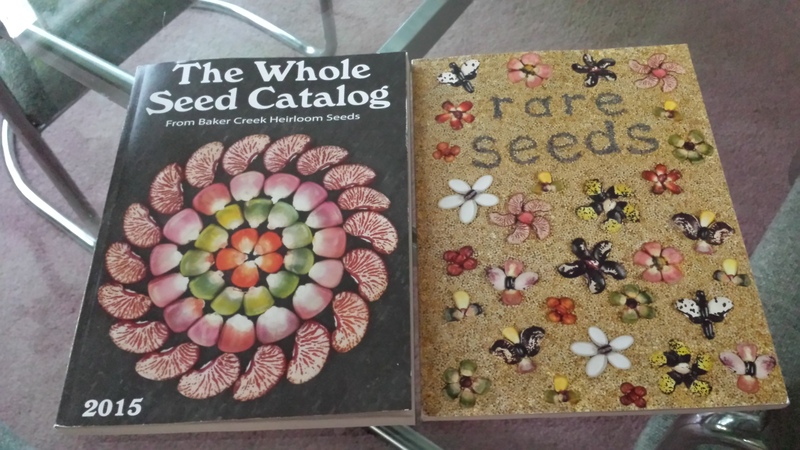 And Margaret Roach has an excellent summary of organic seed companies on her blog, A Way to Garden, which can be found here. And finally, a shout out to Renee’s Garden, who is always generous to a fault with garden writers. She supplies seeds to us to test in our own gardens every year. Sadly the last two years my readers will remember my battles with the critters (the critters won!) so I didn’t have much of a harvest from the seeds that the company provided. But that is my own fault and not theirs, surely! Check out some of their wonderful offerings (and remember, I have been compensated in free seeds by them). Whether you’re starting seeds or looking for shrubs, the catalogs are a great reference. I generally buy my seeds from the catalogs as well because I can be certain that I will get what I want (and shipping is not prohibitive.) I’ll talk about buying plants from catalogs on Monday.